The ancient kingdom of Assyria (extending across the undulating plains in the north of modern-day Iraq, the west of modern-day Iran, the south of modern-day Turkey and the east of modern-day Syria) was established before 2000BC. It grew up around the cities of Ashur (Assur), Nineveh and Arbel on the banks of the Upper Tigris. Assyria grew wealthy by growing barley and flax on the fertile plains, and trading textiles for precious metals from the Cappadocian cities of the Anatolian Plateau to the north west. Trading agreements and transactions were recorded in Akkadian cuneiform on clay tablets. The Biblical ‘Table of Nations’ classifies the inhabitants of Ashur (in modern-day Iraq) as Semitic descendents of Noah’s son Shem (see Genesis 10:22). From the 20th to the 15th century BC, Assyriagoverned most of Upper Mesopotamia, though its influence subsequently waned until the 9thcentury BC, when the Assyrian Empire again began to expand. In c.875BC, King Ashurnasirpel II of Assyria built a new palace at Calah (Nimrud) (just south of Nineveh). The palace had walls constructed of mud bricks faced by more resistant baked bricks. 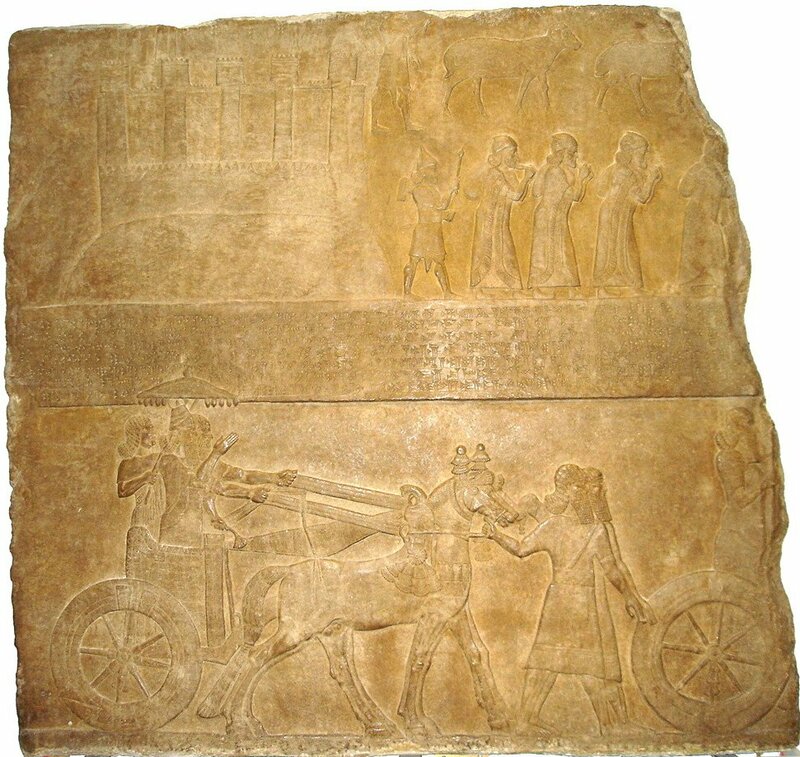 Bas-reliefs showing Assyrian archers and the king in his chariot can be seen in the British Museumin London. The capital was moved to Nineveh, about 60 miles / 96 km upstream near Mosul in modern-day Iraq, during the late 9th century BC. Biblical Assyria was at its peak during the time of Jonah, just before the fall of Israel in 722BC (see Jonah 1:1). 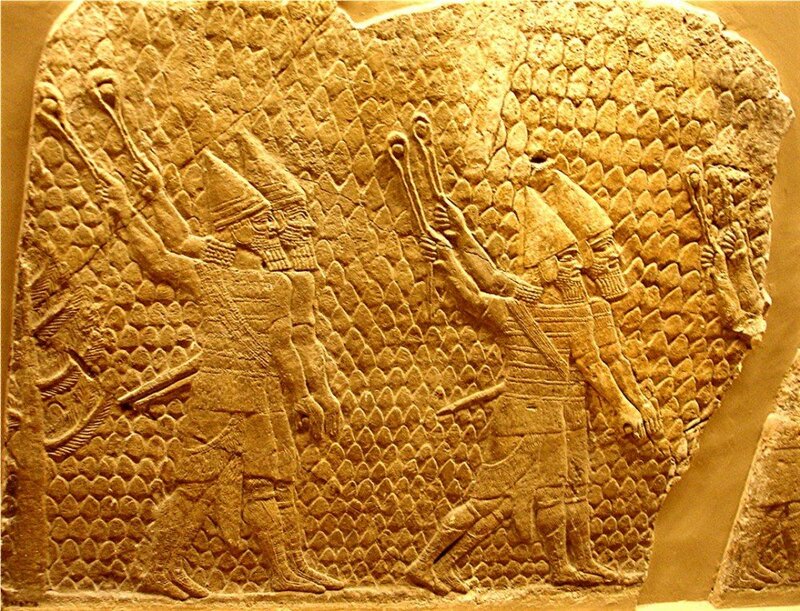 In 733 BC, Tiglath-Pileser of Assyria invaded Israel and captured Galilee (see 2 Kings 15:29). Two years later, he captured Damascus and killed King Rezin of Syria. In 724BC, King Shalmaneser V of Assyria laid seige to Samaria, and Israel fell to the Assyrians two years later (see 2 Kings 17:5-6). The assimiliation of many Aramaic speaking peoples from Syria and Galilee into far-flung corners of the Assyrian Empire led to the adoption of Aramaic as the second official language of Assyria in 752BC, and its gradual takeover from Akkadian during the subsequent century. Assyria continued to harass the southern kingdom of Judah after the fall of the northern kingdom of Israel in 722BC (see 2 Kings 18:13). The palace of King Sennacherib at Nineveh, built in c.700BC was described at the time as a “palace without a rival”. Stone carvings on the walls told of Sennacherib’s seige of Jerusalem in 702 BC (see 2 Kings 18:17-19:36). Assyria’s greatness, as the prophet Nahum predicted, was, however, short-lived (see Nahum 1:14). Around 633BC, Nineveh was attacked by the Medes and Babylonians. The city was ultimately captured and razed to the ground by the Babylonians in 612BC. Following the fall of Samaria and the northern kingdom of Israel in 722BC, all Israelites who were unable to flee elsewhere were deported to Assyria. 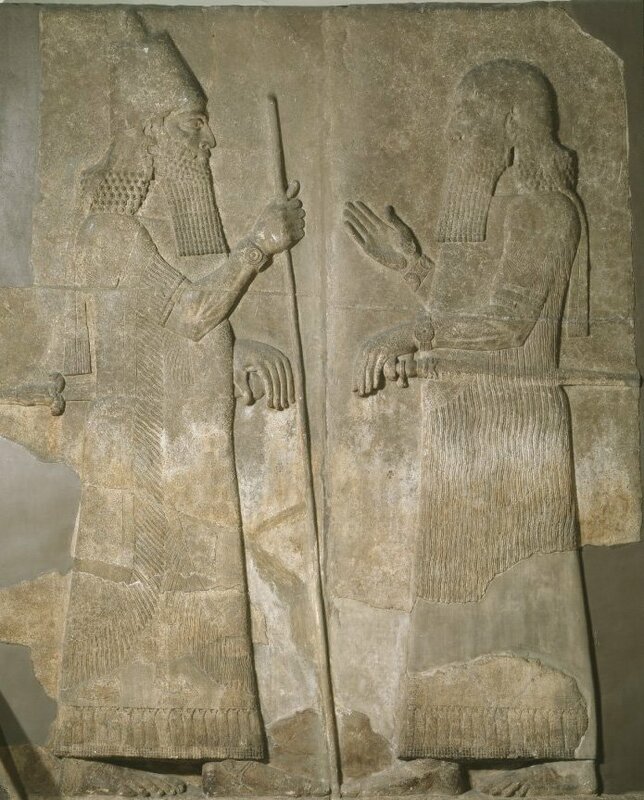 Settlers from other parts of the Assyrian Empire were brought in to replace them by King Sargon II (who is depicted on a bas-relief from Khorsabad that is on display in the British Museum in London). Early on in the resettlement of Samaria, lions attacked and killed some of the new settlers, so one of the exiled priests of Israel was sent back to Bethel to inform the settlers how to ‘pacify’ the god of their new land. He taught the new residents of Samaria how to worship the LORD, the God of Israel, alongside their own gods. In later generations (and in Jesus’s day), the Samaritans were hated by the Jews because of their mixed Jewish and Assyrian ancestry. Due to their mixture of Jewish and pagan religious practices, they were not considered to be Jews (see 2 Kings 17:33-34 & John 4:4-26). 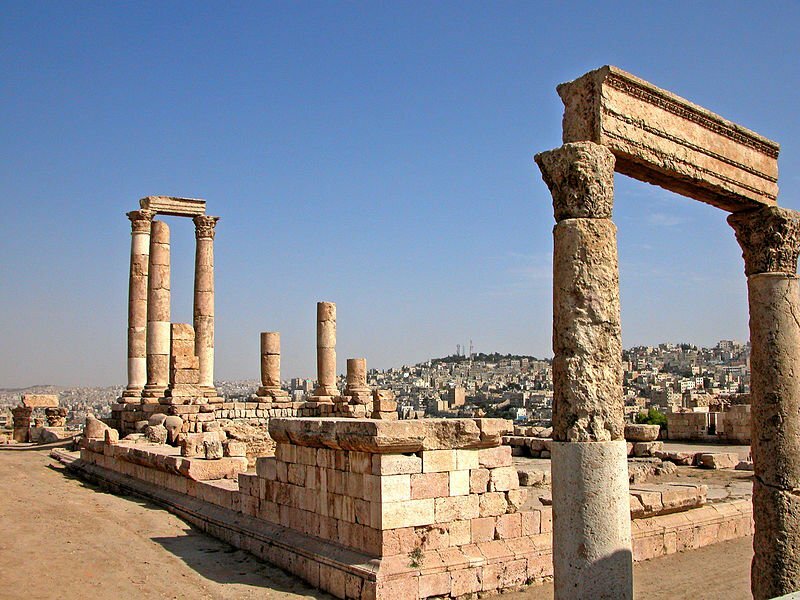 As a result, the Samaritans built a ‘rival’ temple on Mt Gerizim - which they believed to be the site of the altar where Abraham prepared to offer his son Isaac as a sacrifice (see Genesis 22:1-14) - but this was destroyed in 128 BC. Even today, local Samaritans still offer a lamb as a ritual sacrifice on the slopes of Mt Gerizim at Passover time.